The Clive Peacock Award for 2018 goes to Bob Whitaker, who has been a member for over 68 years and served the Society as Chairman for the last 18 years. 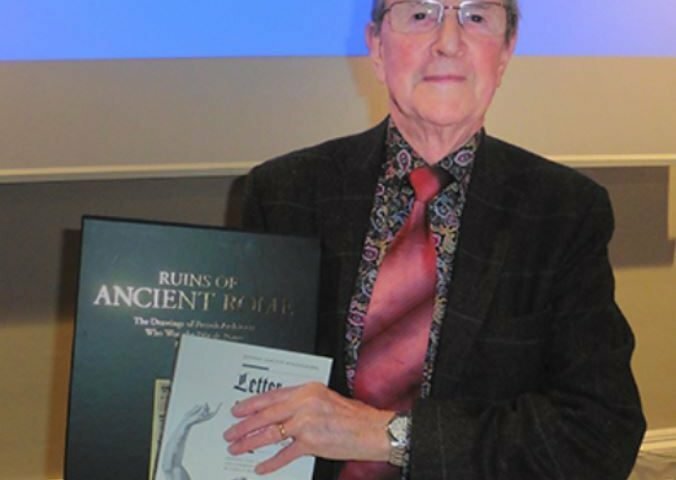 The incoming Chairman, Henry Lowe, presented Bob with two books: drawings of the ruins of Ancient Rome and the original 18th century discovery and excavations of Herculaneum. 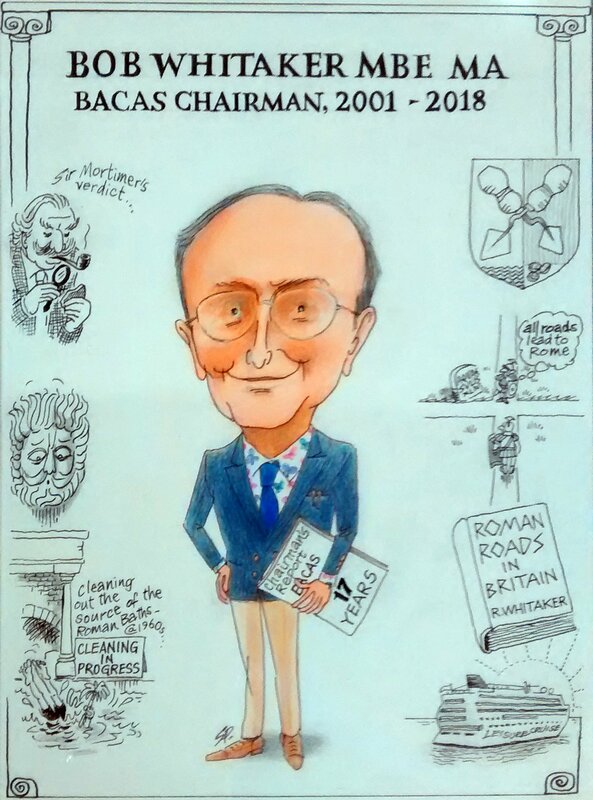 Bob also received some fine wine and a cartoon drawn by Sally Phillips.